Pre-flight safety briefings are all about reminding passengers to take proper precautions, but some national airlines also take the opportunity to showcase their countrys attractions and culture, turning them into informative videos that leave a lasting impression. 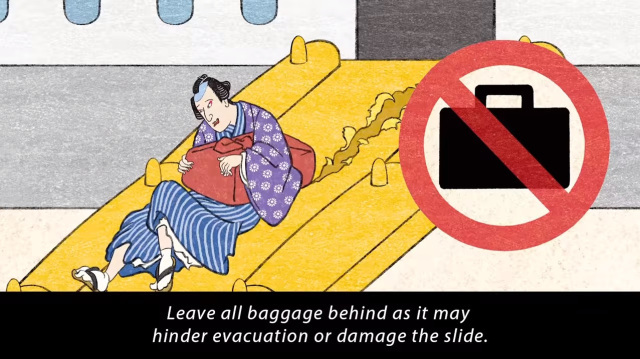 Japanese airline ANA recently produced one such clip that paid homage to one of Japans oldest traditions, promoting kabuki and imparting valuable safety information all in one elegant swoop. Whats more, the company also employed a Chinese actor by the name of Zhao Lixin as one of the kabuki actors. ▼ Although they are traditionally dressed in black, the stagehands in the video sport the blue and white colors of ANA. 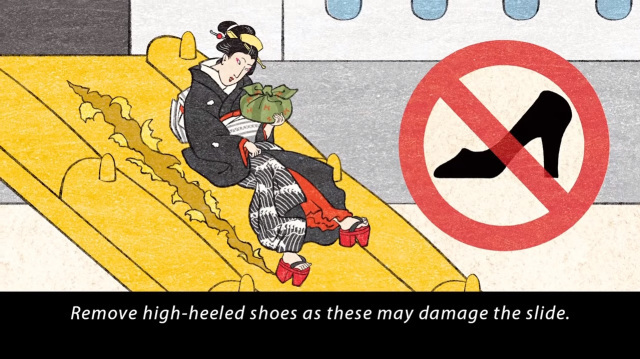 Hats off to ANA for an entertaining video that beautifully showcases the countrys rich tradition, all the while reminding passengers of vital flight precautions. Hopefully the company can follow up with some sumo wrestling humor in the future, turning boring pre-flight safety videos into a thing of the past.